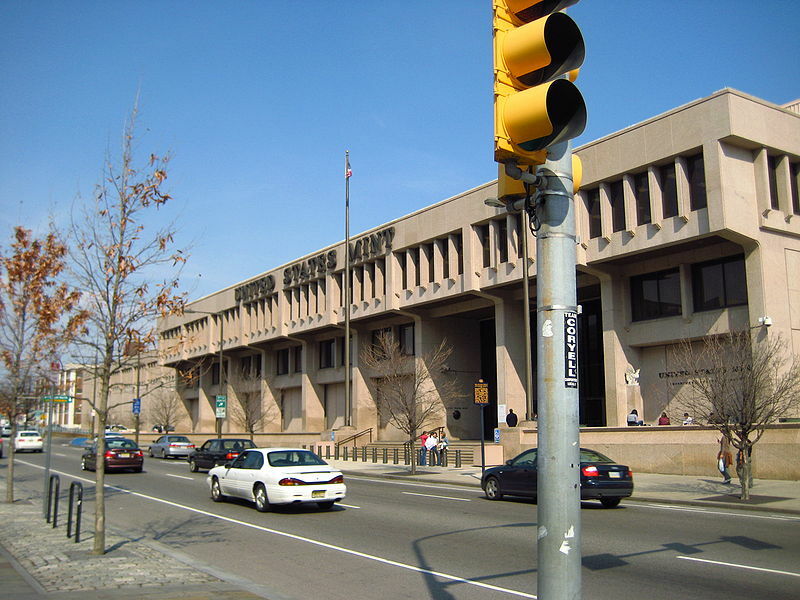 The Philadelphia mint was the first official mint in the United States of America. It was also where the first US coin was ever struck as well. 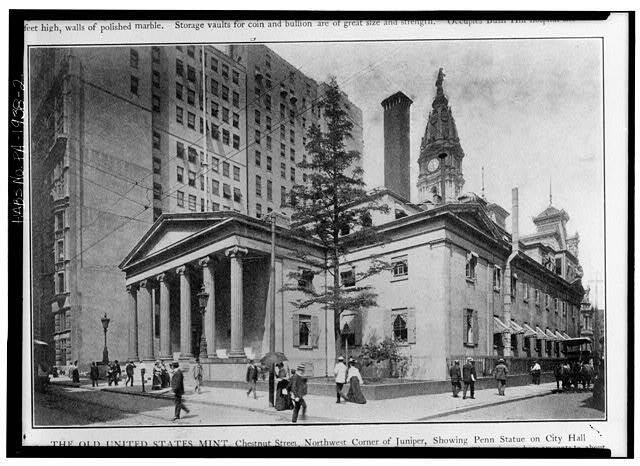 The creation of the mint in Philadelphia, Pennsylvania was largely due to a need to create a national identity and to create a form of commerce in the newly formed country. In fact, the founding fathers of the US thought this was one of the higher priorities after the Constitution was ratified. On April 2, 1972, the Coinage Act was made into the law and established the US Mint. Many people wonder why they chose Philadelphia of all places to build the first mint. The reason this city was chosen was because it was the national capital during that time period. They also decided what composition the coins would be, how much they would weight and what denominations would be created. They also agreed that the coins would have to have a “liberty” type theme or “an impression emblematic of liberty”. 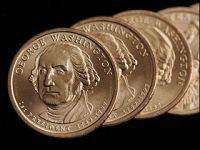 The Coinage Act was created April 2nd of 1792 and it was a few months before the mint was built. A scientist by the name of David Rittenhouse was appointed by President George Washington to become the very first Director of the Mint. Rittenhouse bought two lots for $4,266.67 on July 18th of that same year. The location was at Seventh Street and 631 Filbert Street where an old abandoned whiskey distillery was located. Work began the next day when they immediately started to demolish the abandoned building. Construction of the foundation started on July 31st and the building itself was completed by September 7th of that same year. All they had to do then was start installing equipment and a smelting furnace. In fact, the smelt house became the first public building built by the US government, which was three stories tall and was constructed with brick. During that time, it was one of the most prominent and tallest buildings in the city. 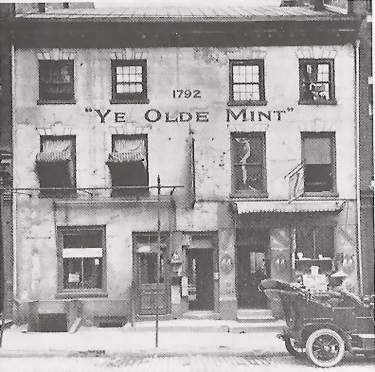 They painted the words “Ye Olde Mint” and that was the first mint in the United States. There was a lot of gold and silver that needed to be used to mint coins so they stored it in the basement of the mint in vaults. The coins were struck and minted on the first floor where the press was. They also weighted the coins here as well. The second floor of the Philadelphia mint housed the official offices and the third floor housed the assay office. They also had horses in the basement of a mill house that powered the rolling mill on the first floor. Unfortunately, the smelt house and mill were destroyed by a fire in 1816. They had to do smelting in other locations because the smelt house since there was never a repair of the smelt house. They did build a brick building in place of the mill but this time the put a steam engine in place to power the machines instead of the horses. The first mint successfully minted until 1833 until they moved to a second mint located in Philadelphia. The original mint and land was sold off to Frank Steward who wanted to preserve the buildings and its history. Unfortunately, no one helped out and the buildings were destroyed around 1910 with nothing remaining except a small plaque. Work on the second mint started on July 4th of 1829 when the cornerstone was laid down at a location where Chestnut and Juniper intersected. The nickname was “Grecian Temple” because the building was built with white marble and had columns that looked like the old Greek style. William Strickland designed the building and it measured 150 feet by 204 feet, which was much larger than the original. The second mint actually opened in 1833 and used some of the salvaged equipment from the first mint. The equipment was outdated so a man named Franklin Peale was sent out with a goal to learn about advanced minting techniques and machines in Europe. He then returned and improved the production of the mint ever since. The second mint existed through many great events in American history including the Civil War and the expansion of the nation from both coasts and a population growth from 13 million to 76 million. 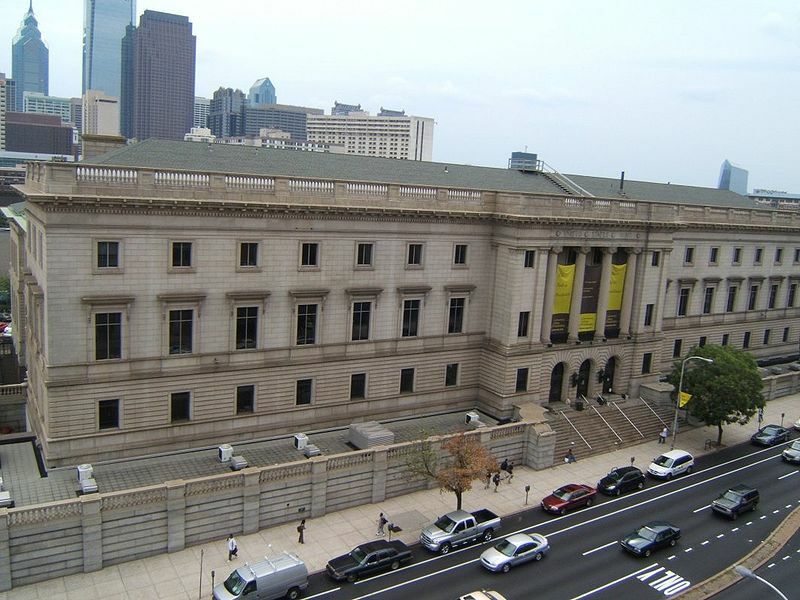 By the turn of the century, the demand for coinage became too great for the mint in Philadelphia, so they had to start thinking about an expansion. So in 1901, a third mint was created and the second one was destroyed in 1902. Interestingly enough, they dug up the original cornerstone and put it in a candy jar along with some coins, newspapers and a historical document about the mint and the new one that was about to be built. The designer of the third mint was James Knox Taylor. They decided to build it at the address of 1700 Spring Garden Street, which was a block away from the US Smelting Company. The purpose of this mint was to expand production since demand was so high. In a single year, they were able to mint 501 million US coins and 90 million coins that were for the foreign countries. Also, the design of the mint had a Roman temple style as opposed to the earlier Greek style of the second mint. Again, it was a very large and landmark-worthy building that was as large as an entire city block. To this day, this building still exists but it became part of the Community College of Philadelphia, who acquired it sometime in 1973. The fourth and current modern mint that is in use today was built in 1969 only two blocks away from the original “Ye Olde Mint”. Vincent G. Kling designed this mint, which became the largest mint in the world until January 2009. The coin production here is amazing due to modern technology. In fact, one million coins can be minted in just half an hour, which would have taken 3 years to do at the original mint. Nowadays the mint creates more than just US currency, but also commemorative items such as government awards, medals and special coins. Philadelphia also engraves all of the dies here as well. 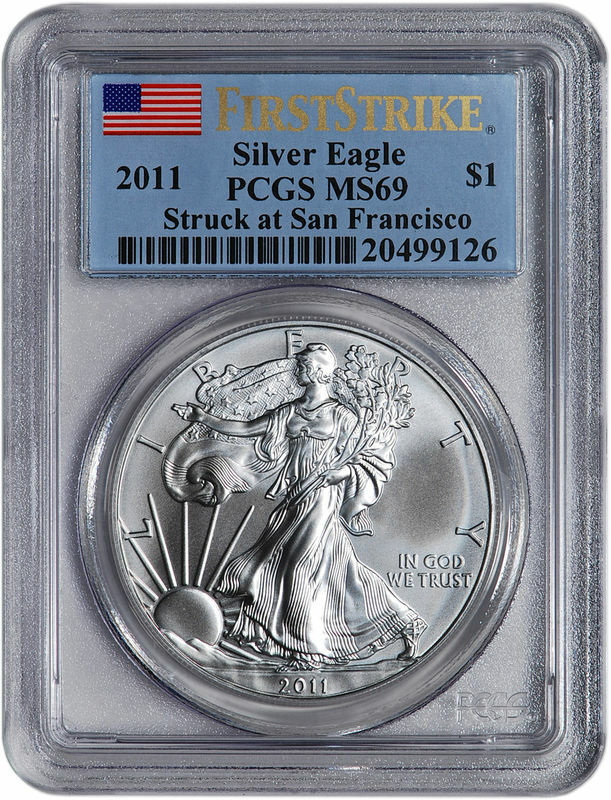 One important thing to note for collectors is that any coin without a mint mark was minted in Philadelphia. 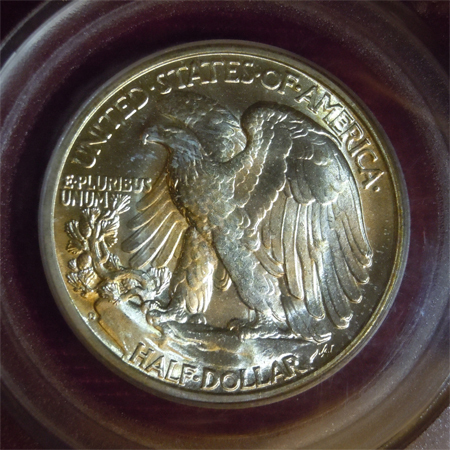 The Uncirculated or special coins include a “P” mintmark as well as circulated coins from after 1980 except for the Lincoln cents. Otherwise the regular circulated coins coming out of Philadelphia had no mint market except for the wartime Jefferson nickels and the 1979 Susan B. Anthony Dollar. That’s right! Over 300 BILLION Coins were minted in Philadelphia and that only includes the official US currencies. These figures come from adding up all of the mintages in our database from this particular mint, which does not include the coins that had “N/A” or unknown mint figures or figures from the current year. So the number above is extremely conservative and the total number of coins ever minted in Philadelphia throughout the entire history of the United States of America is at least this much! 1989 – 1 Dime – Philadelphia Mint – U.S.A. Interesting Facts – Early Roosevelt dimes were made of 90% silver and 10% copper (1946-1964). Dime pieces from 1964 forward are clad coinage consisting of copper sandwiched between two layers of an alloy that is 75% copper and 25% nickel.Beginning in 1992, silver coins were included in yearly collectors sets produced by the US Mint. These 90 percent silver proof coins include the Roosevelt Dime, Washington Quarter and Kennedy Half Dollar. 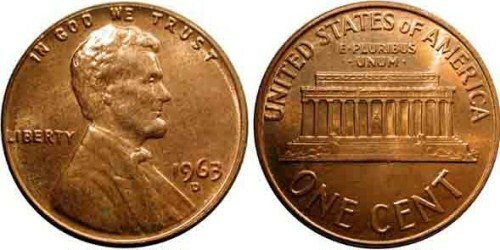 1963 – 1 Cent – Denver Mint – U.S.A. Interesting Facts – The Lincoln cent coinage represented new directions the mint had begun taking. Of the most notable is that it was the first circulating coin to feature a portrait of an actual person and not that of lady liberty. This spelled the beginning of the end for lady liberty on other denominations in years to come.Being the first coin to depict a real person is not the only “first” status that the cent can claim to. The Lincoln cent was also the first to bear the term “IN GOD WE TRUST”, the first cent ever to be minted at the Denver Mint, and in WWII issue the first and only U.S. circulating coin made of steel. MS60 prices are for Brown coins and MS65 prices are for coins that are at least 90% original red. The dates were modified in 1960, 1970 and 1982, resulting in large-date and small-date varieties for those years.